Despite the return of the Hebrews from the Babylonian exile, selfishness, apathy and despair crippled their community spirit. In response to this distress, God raised up three prophetic voices in Jerusalem. Haggai rallied the people to rebuild the Second Temple. Zechariah was given visions of the return of the glory of the Lord to Zion. Malachi preached repentance, covenant justice and restoration of proper temple worship. 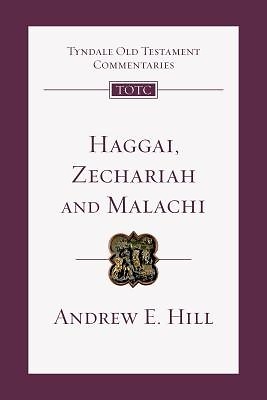 Andrew Hill's excellent commentary on these oracles shows how they remain timely for the Christian church's worship and mission in the world."